We spoke to Will, who is part of the sales team at DA. He joined the pioneering participants who were the first to set foot on this Romanian Trek with us. Will had less than forty-eight hours to prepare for this winter trek but he was raring to go by the time it was touch down. Hi Will, tell us what you were thinking before even setting foot on this challenge. Any apprehensions or was it pure excitement? "I was nervous for a moment and then excitement followed. I only had a short time to prepare but, fortunately, I had everything I needed and borrowed any other kit from members of the DA team. As soon as I got to the airport I was buzzing for the challenge ahead." With little time to prepare, did you feel your level of fitness was suitable for this experience? "My fitness is at a good level through my love of hockey. 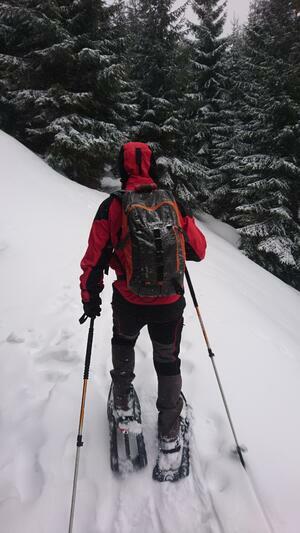 The first two days gave us the chance to practice with our snowshoes which was incredible fun. I found the enjoyment of the activity compensated for the tough elements of the challenge over the course of the trip. The final day was eight hours in deep snow and it was considerably tough by the end, but it felt great to be exploring a totally new landscape and pushing myself on a new challenge. All in all, it was very rewarding." 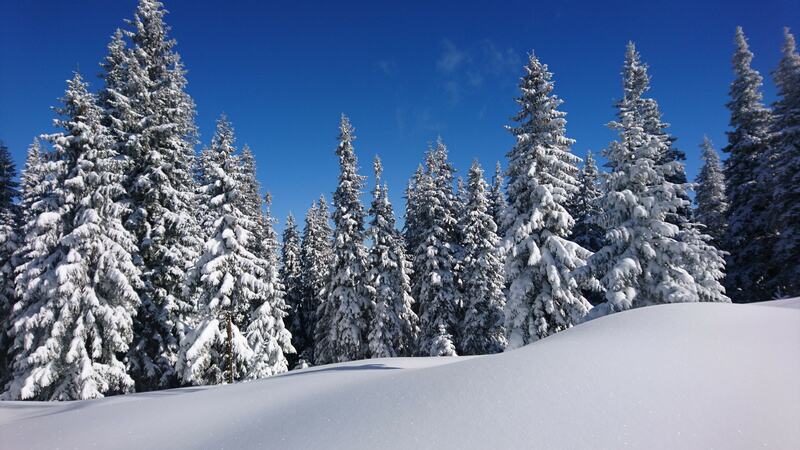 You had never experienced snow-shoeing before this challenge, how did you find it? Did it take you long to get the knack of it? "It was really straight forward to pick up but it is definitely different to regular trekking, it's a whole body work out! The beauty of it is that it opens up whole new environments to you by making such heavily snow-covered landscape accessible." We've heard people describe Romania in this season as a "snow globe". Describe some of the environments you explored on your trip. "Stunning! It's amazing to trudge through thick snow as far as the eye can see, encased by forest and completely quiet surroundings. We didn’t see another person while trekking over the two days." Sounds incredible. And with snow-shoeing being a whole body workout, you need some substantial refuelling. What was the food like? "Sibiu is the gastronomic city of Europe this year and it showed in the traditional guest house we stayed in. All homemade, well cooked and tasty. We had soup for starter every day - the perfect warmth in your belly after a gruelling slog in the snow." 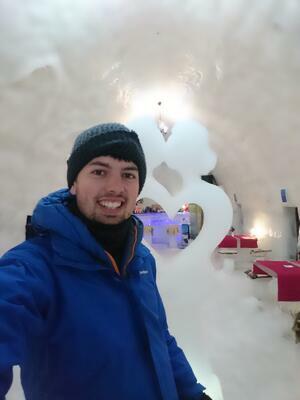 On this trip, the chill factor is ramped up even more with a stay in the Hotel of Ice. We bet that blew your mind! "It is an amazing feat of engineering and design. Exploring the hotel that is built anew each year was so cool, and quite a surreal experience in it's own right. And to my surprise and relief, I was plenty warm enough and managed to sleep all night long." What was the accommodation on the other nights like? "The guest house for the second two nights was hosted by a very welcoming couple who spoke German, French and Romanian! Impressive, right? They were ever so thoughtful and their homemade red wine went down a treat, especially after being outside in the snow all day!" Did you struggle with the cold climate? "I was actually fine, the trick is to be wearing the right layers. So with the right kit, you will be fine. It's a strange kind of cold, quite dry and very different to the UK. It was really cold at particular parts of the trek, but you always know you’re going back to a lovely warm guest house. Plus, you warm up when you’re snow-shoeing. 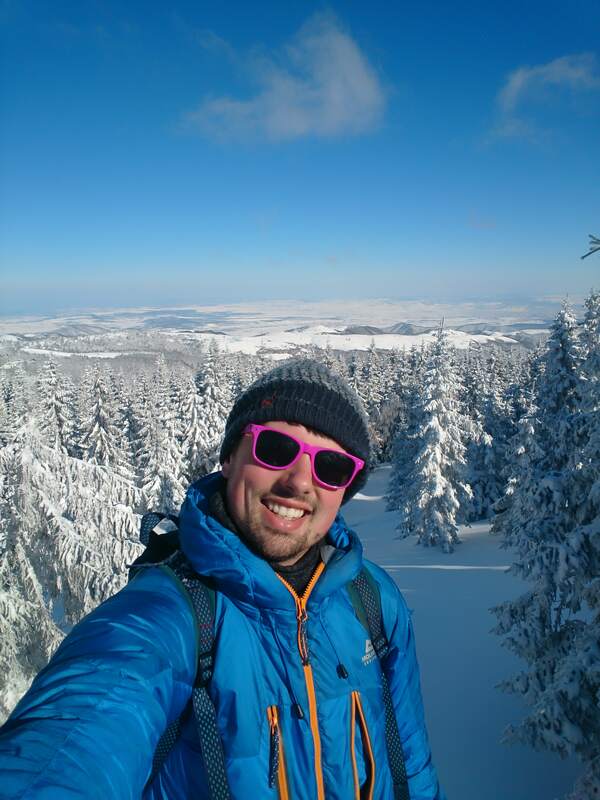 Although, my Percy Pig sweets froze in my rucksack while trekking, so keep your sweets safe!" Keep your sweets safe - noted! It sounds like you had a brilliant adventure. 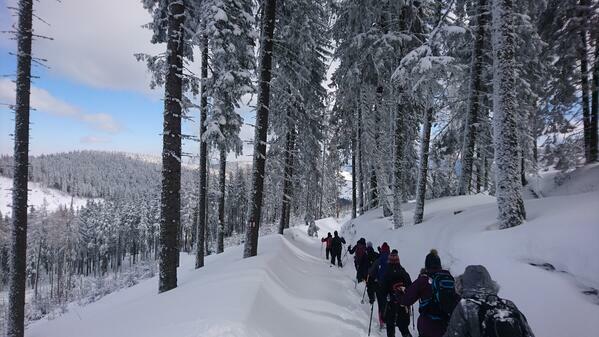 Now you can look back at your experience, what are your thoughts on the Transylvania Trek? 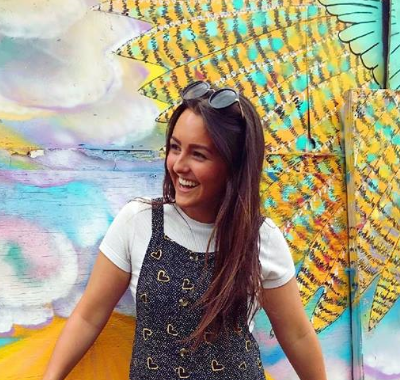 "It's a great little trip, that gives you the chance to see something completely different and face a different challenge than you may well have taken on before. Our longest day of trekking on the Saturday was so cool and sticks out as a great memory from the trip. The group gelled well and the night in the Hotel of Ice brought everyone together, as well as being such a unusual and exciting experience. Another great aspect of this trip is that it's not too far to travel nor do you have to take much time off to do it so it's handy to squeeze in to busy diaries." Brilliant, any last tips or advice to potential Transylvania-trekkers? "Make sure you have good walking boots. Cold feet are the worst and it can really impact your enjoyment of the trip. Personally, I needed a better hat because my woolly hat unravelled over the three days of trekking, which everyone had a good laugh at. And of course, train before hand! Get out walking as much as you can. It is a truly amazing experience, so if you prepare beforehand you can enjoy to the max." Thanks Will, you've given us a fantastic insight into this Romanian venture. Who's got itchy feet?! Then, get yourself booked on to our 2020 adventure while there's still spaces available. We've added another date in due to popularity so choose from our February or March departures.